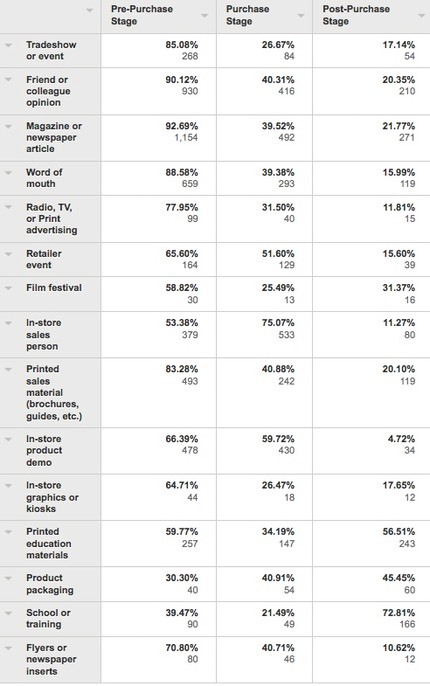 Last week NikonUSA sent a survey to an n sample of people for which they had email addresses. From what I can tell, this latest survey didn’t require that you had registered a camera; some recipients were purchasers of products from the Nikon Store. The survey itself was a strange concoction: a set of poorly chosen either/or statements, most of which weren’t actually opposites, followed by a “what are you going to buy” hammer at the end. I use “hammer” because Nikon’s survey technique didn’t allow you to complete the survey without answering some of those questions, and the price slider they used had to be moved. Once again, I don’t think the survey creator would pass the statistics classes I had to take in my PhD program, but that’s Nikon’s problem, not mine. I changed as little as I dared with my version of the survey, so it, too, has flaws. Nonetheless, some of the information obtained is interesting and potentially useful. Okay, let’s think about that for a moment. Most of you reading this site have a serious DSLR. Indeed, that’s why you came to bythom.com in the first place, and specifically to my DSLR site. That should be a given, right? But remember me writing about sampling and leaking? 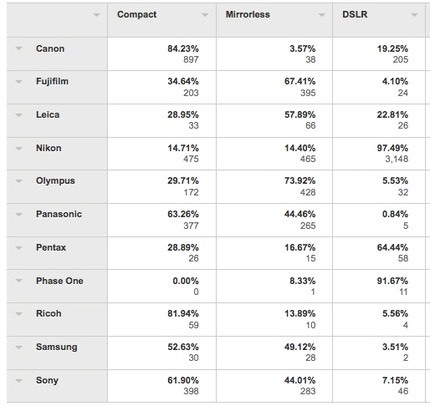 Look at those mirrorless numbers: about 44% of you are sampling, leaking, or switched to mirrorless. 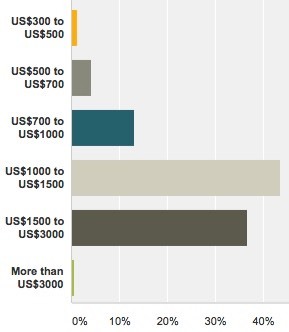 That’s a pretty big number and a dangerous one for both Canon and Nikon: if those mirrorless systems truly get some loyalty out of their customers, that has huge implications on the Canikon duopoly for the future. Mirrorless is slowly sneaking upwards in terms of percentage of overall ILC sales, though DSLRs still predominate for now. 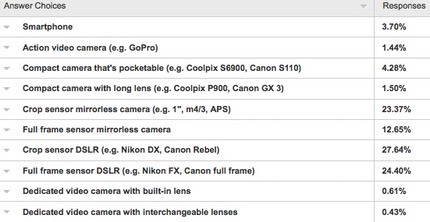 I was a bit surprised at how high the pocketable compact camera number was, too. Of course, I’m one of those (Sony RX100IV), and for good reason: I can’t (okay: won’t) carry the DSLR everywhere all the time. Still, what Nikon camera truly fulfills that duty for the high-end enthusiast? 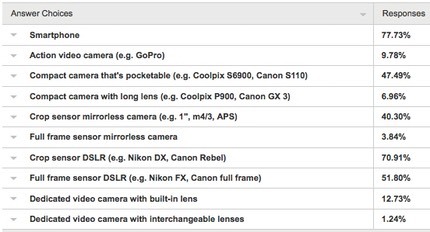 Yep, in terms of compact camera, you’re more likely carrying a Canon than a Nikon. That’s for a crowd that is way more likely carrying a Nikon DSLR than a Canon. Oops. This is one of those data points I’d use to argue that Nikon doesn’t think of a customer’s needs, but thinks of a customer. Yes, those are two different things. Most of you are serious DSLR shooters (we’ll get to that). 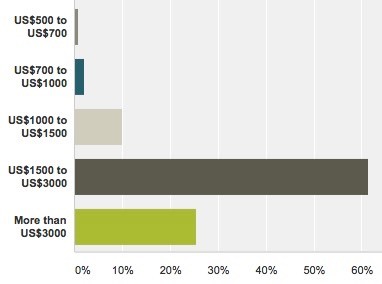 About half of you own a pocketable compact and/or a smaller mirrorless model. Nikon isn’t catering to you other than to make your DSLR. Instead, when Nikon thinks of a pocketable compact, they think of a different customer. We have another point to make about that, and that’s which brand are you loyal to? 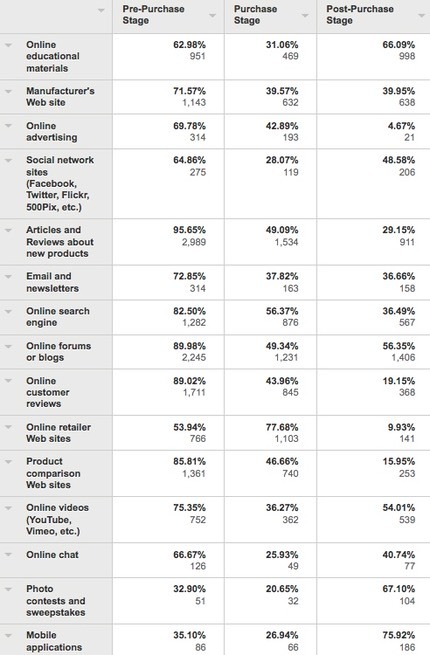 80% of you self-select as professional or serious photo enthusiasts. Somehow 11 true consumers showed up for this survey; not sure how they got to my Web site ;~). 68% of you strongly agree that “most of my photos and videos depict people and places around me.” Bump that to 95% if you include somewhat agree. No selfie-oriented group here. I mentioned earlier that Nikon was not designing to a customer’s needs, but designing to a customer. To a large degree, the either/or questions seemed to be tilted towards that, too. WiFi connection through the smartphone really isn’t a big seller to the crowd that answered the survey from my site, yet it seems to be one of the targets Nikon was trying to identify. (And yes, I did some crosstabs on the results, and there are some significant differences in the sub-groups; you could design and sell to that sub-group if you could identify them, which I’m not going to try to do here ;~). Yes, you’re mostly older and you’re 98% male. 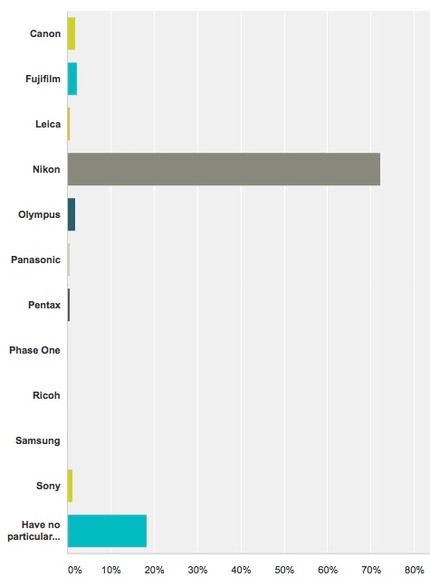 So much for Nikon’s “everyone jump on FX” idea. Crop sensor still wins the most purchases, even amongst this serious shooter crowd. Uh, that looks like a D7200 or D400 to me. How about full frame DSLR? Those folks wanting one for less than US$1000 are going to be disappointed. Okay, let’s test the Coolpix B (;~). Yeah, US$1400 was too much. 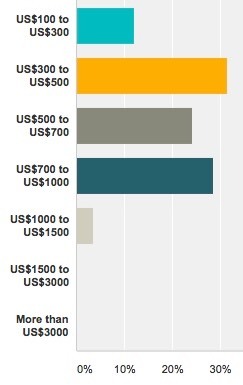 A number of you have asked me why Nikon is doing so much surveying all the sudden. Based upon past experience, the D5 is done and establishes the tech for the foreseeable future. The time just before the next generation pro camera launches has historically been a time when Nikon spends a lot of time looking around to figure out where they are, mostly so they can discuss internally where they go next. Frankly, I’m not sure the way they’re looking for information at the moment is likely to help them with that task. Moreover, I’ll repeat something I’ve written before: customers are often your worst designers. Sure, they can tell you what feature frustrates them or point to a specific sub-optimal thing, but in terms of identifying what the next generation of cameras should be like they’d be pretty poor help. They’d tend to give you small iteration points from what you’re already doing. As I’ve been clear (and loud) about for many years now, I believe that we’re at a crossroads. If Nikon keeps building the old thing iterated they’re going to see continued decline in sales volume. The market is saturated with digital cameras as we know them. They all take really good images when used well. Let’s face it, Nikon. All the cameras you make take fantastic images, and I’m sure you’ll figure out ways to make those images even better. That’s not our biggest problem any more. It’s not what will compel us to buy a new camera, or buy one more often. It’s the questions you aren’t asking that will get you the answers you need to design something that will reignite sales growth. Meanwhile, Nikon also needs to seriously look at why their best customer (DSLR user) is using a competitor’s compact or mirrorless camera to supplement it. Footnote: I’m told by someone who would know that the Web-presentation of my results for my previous shadow surveys have been shared with Nikon's Marketing General Manager in Japan. However, despite my offering to provide the original data, no one in Japan has asked for it.